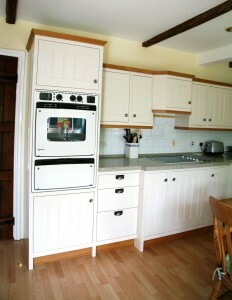 Description: This kitchen was still useable but tired and unfashionable looking in a dark blue paint scheme. 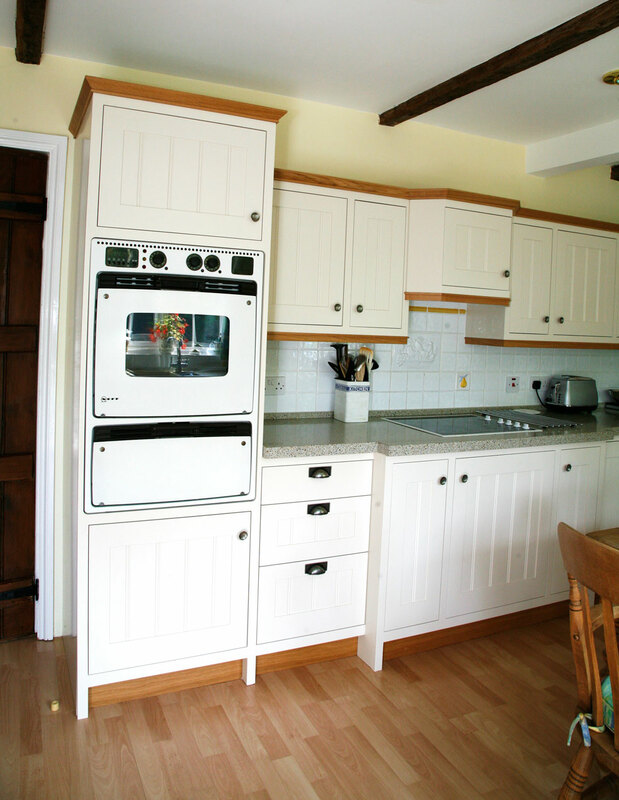 Our clients wanted a solution to spruce up and modernise their light and airy kitchen but without the expense and inconvenience of having to completely replace what were perfectly serviceable carcasses and units. 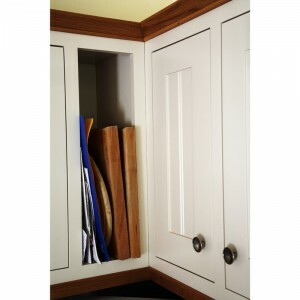 We replaced doors, side panels, face frames and drawer boxes, and changed a couple of the cabinets too. We also fitted new knobs and drawer pulls in pewter. 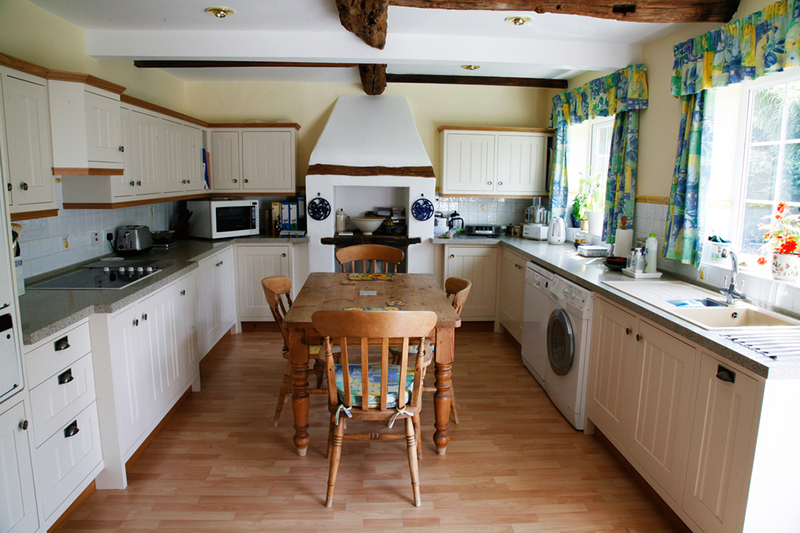 With a new Farrow and Ball colour scheme, the new kitchen is now light, airy and modern. 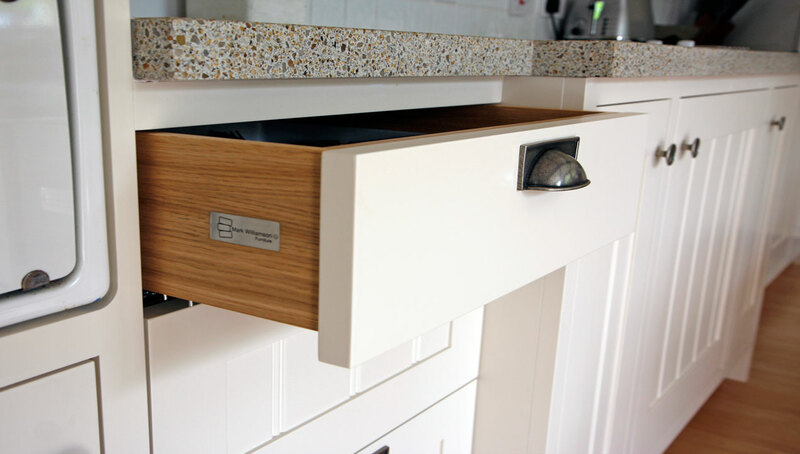 Materials: European Oak for plinths and cornicing, beaded Shaker style doors in Maple and MDF, spray painted in Farrow and Ball colours.